After a few months of the ML Park & Recreation Commission and the Town staff brainstorming the issues of moving the ice rink to Mammoth Creek Park West (MCPW), the scheduled “scoping ” meeting was held on March 18. Under the structure of the California Environmental Quality Act (CEQA), the benchmark body of law that requires EIRs, the project needs to be “scoped.” That scoping directs the producer of the EIR (in this case Michael Baker International) of all the potential issues that need addressed in the EIR. There are established categories like Visual Impacts, Noise, Botanical, Archaeological, Traffic, etc. The EIR must also weigh alternatives. The scoping process allows for important public input to be thrown on the table. CEQA requires that these issues must be addressed. Addressing them in sufficient manner is what makes the EIR defensible. Many of the initial concerns were already on the table. But some were not. As a Mammoth Lakes Planning Commissioner from 1990 to 1998 I was involved with numerous EIRs. In fact most of the town and development projects have their EIRs dating back to that period. In my research of this project I found that the contract between the Town and Michael Baker International was woefully inadequate. The traffic and circulation concerns were going to be based on previous town-wide traffic studies and addressed in a “memorandum.” I can only guess that the Town did this to circumvent the time and expense of studying the subject adequately. 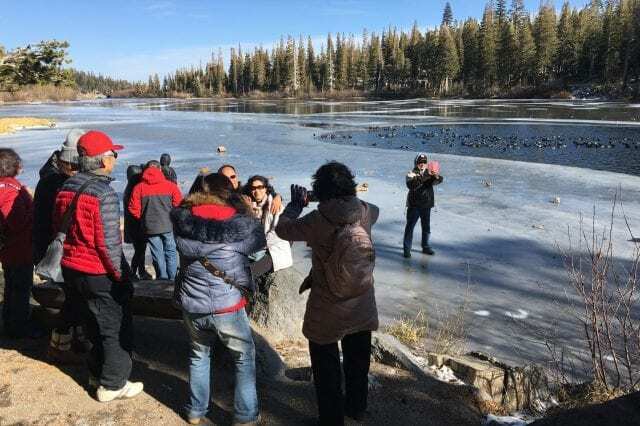 I also found that nobody appeared to concerned about how close this project will be located to the Mammoth Creek drainage and the dangers of that. This EIR could become a long process even though the “enthusiasts” don’t want it to be. The HOAs in close proximity will threaten litigation, and the EIR is where the process is most vulnerable. Some months from now we can expect a Draft EIR. That will be where we see what the sum total of the scoping comments are and how the EIR addresses them. So here is my scoping letter that will be attached to the balance of all the scoping comments. Town of Mammoth Lakes; Parks and Recreation Commission, Planning Commission, Town Council, Michael Baker International, etc. RE: Scoping of the EIR, MUF/Mammoth Creek Park West. For the record, I own residential property immediately adjacent to the proposed project and own commercial property in the immediate vicinity. In the past 34 years I have lived in close proximity to and commuted through this project area extensively. I am essentially in favor of the project if the project can be designed to mitigate a variety of issues and concerns. And I would emphasize that a limited budget is NOT cause for a statement of overriding considerations. I find many of the “enthusiasts” of the project including much of the Town staff have a cursory appreciation for the inherent qualities of the site. And because the site appears to be larger than it really is, many have overestimated what can be reasonably placed there. It is also the closest intrusion of a commercial-type facility to the main (and natural) tributary of Mammoth Creek that the community has ever seen. This should require extra diligence in the future development of this site. The site is extremely valuable for its location, the natural resources (namely the creek), the topography, solar aspect and views. No other town-owned site has all of these attributes. That alone makes this EIR process compelling. What is done on this site is of critical importance to the community. It cannot be poorly planned or executed. A comprehensive and thorough EIR is critical. The Town is essentially the proponent and the lead agency. Any stone unturned will create future liability (we learned that with the airport EIR). Building the “trust” that you seek with the local property owners will only be achieved with a thorough EIR process. Site specific traffic / circulation studies from both winter and summer should be compulsory. To rely on a “memorandum” from Michael Baker International based on the Mobility Element is totally inadequate. While the Mobility Element is valuable and amazingly detailed, it failed to address this site and this “intersection” of traffic and the cumulative impacts of this site. There are very specific concerns that a simple (and potentially arbitrary) “memorandum” cannot address. The MCPW location is located on one of the major thoroughfares in Mammoth Lakes. The proposed MUF includes 125 parking spaces and year-round usage. All of that proposed traffic is through one driveway. That driveway is located on a significantly “blind curve” or bend in Old Mammoth Road that does not have clear sight-lines. This sight-lines change seasonally based on winter snow pack and the leafing of aspens and willows along the creek. That driveway ingress/egress to MCPW from Old Mammoth Road does not include dedicated left and right turn deceleration lanes. The blind curve section of Old Mammoth Road and the driveway to MCPW are located in a 40 mph zone where many north-bound autos are exceeding the speed limit. That is undeniable, I have commuted on this stretch of road literally thousands of times. Further, there is a convolution of other activities and distractions right in this immediate vicinity; children’s play areas, pedestrians of all sorts including many with leashed and unleashed dogs, in warmer months fisherman (including many local kids), cyclists using formal and informal paths, skateboarders, horses, special events, informal picnics and gatherings, photo takers, and on and on. There is a broad variety of seasonal activity already at the MCPW location. There are far greater considerations than basic motorized vehicle counts. The Sierra Meadows Equestrian Center has experienced increasing business in the past few years so traffic entering and exiting Sherwin Creek Road has increased. Many of these vehicles include large vehicles with horse trailers. Recreational users utilizing Sherwin Creek Road and beyond has increased so much that the Town felt the need to improve the parking lot. And again, all in a road that has poor sight-lines. And Mammoth Creek Road east of Old Mammoth Road is experiencing increased traffic. And this has been mentioned as “overflow parking” for MCPW. The traffic and circulation impacts are clearly significant. They need to be extensively evaluated. Public safety issues abound and are significant. A simple “memorandum” from the producer of the EIR is not adequate. And coming for one week (or one afternoon) to study the traffic and circulation tells a minute fraction of the story. The patterns are constantly changing based on the season and weather. The Mobility Element doesn’t specifically address any of this. And I emphasize, there is an unfenced children’s playground with significant spillover right in the middle of all this. And even worse, a site specific traffic study will likely show that the preponderance of drivers exiting MCPW will desire to turn left which only exacerbates the compromised sight-lines and speeding traffic. These are all significant cumulative impacts. How will all of this be mitigated with a simple memorandum? How will all of this be mitigated at all? The 1999 EIR made many traffic “assumptions.” This project cannot rely on assumptions. Mitigations need to rely on accurate and comprehensive studies. It is truly an accident waiting to happen. And why isn’t a transit bus pull-out or transit hub been incorporated into this plan? Have the planners forgot that public transportation is one of our critical General Plan goals? We have bus lines driving right by MCPW. This is a glaring and significant omission. An active public transportation component must be incorporated into this plan. And on a 40 mph two-lane road with poor sight-lines a simple bus stop will be dangerous. Old Mammoth Road has many transit bus pull-outs. This would be at a minimum. And with the proposed winter usage of this proposal, a covered or enclosed transit stop would be preferable. So far the concerns over noise have been focused on the proposed ice rink itself and the mechanical equipment associated with it. This is for good reason. This has already been the subject of much input. Clearly the dasher boards needs to be of the noise dampening variety. The ice rink related mechanical equipment needs serious mitigation including adequate enclosures (possibly underground) and potential berming to the residential areas. And hours of operation need to be within reason. But the added parking lot has the potential to be an even bigger noise nuisance to the surrounding properties. Parking lots create all sorts of ambient and uncontrollable noise. Especially when they are poorly or haphazardly designed. So far I have seen no significant proposed mitigation measures. The planners have placed the new parking lot right on a residential property line. This is where it is being dumped simply because the project appears to be (is) underfunded and this is the least expensive route. This is truly cause for distrust. In the past the Town has respected the development of non-residential uses next to longstanding residential property. A buffer of some sort has always been required. (Example: The Church of Latter Day Saints project next to condo projects.) And does it make sense to design the parking lot to resemble a drag strip? That alone is a public safety concern. More inadequate planning. So how should the EIR require the project to mitigate the significant noise created by the new parking area? Berming and trees can help with the visual impacts but really do little for noise, especially for second story residential units. This part of the plan needs significant “alternative” analysis. In reality the parking should be aligned with Old Mammoth Road like the 1999 plan. This is another serious liability of the plan. The Town needs to do this right or not do it at all. As planned, this new parking lot will also be prime for abuse and mayhem. The transient nature of the community invites this. 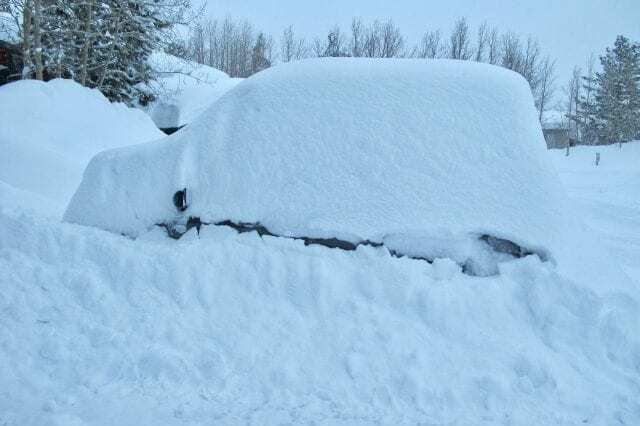 “No Overnight Parking” signs will be ignored. This will become a perfect place for the classic Mammoth motorhome squatters (and their noisy generators). And in reality, under the current Town budget, the parking lot will not be policed. The EIR truly needs to assess whether new funding sources for additional police department staff should be required based on this project and the proposed location. Or does the facility need a private security component? Without proper policing the parking lot (as planned) and immediate area is bound to become a public nuisance to the surrounding residential areas. Is there a draft operational plan for this facility? Or do they just plan to “wing it?” Doesn’t that need to be incorporated into and considered in the EIR? 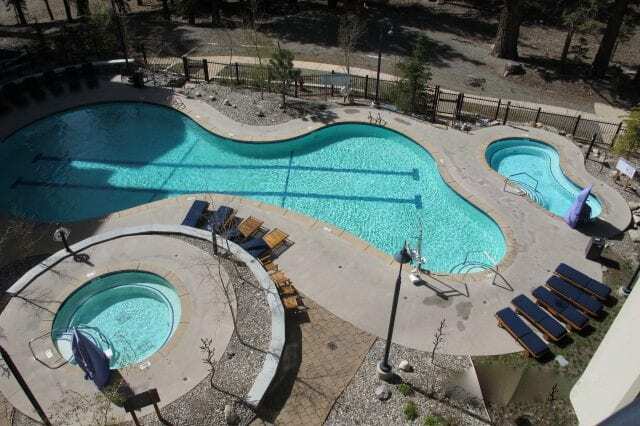 If the Town can justify that the owners of nightly rentals in Mammoth Lakes need stricter regulation then this facility needs a detailed operational plan. And that plan and the resulting impacts needs to be evaluated in the EIR. The potential negative impacts to the surrounding residential properties is significant. Many of the potential visual impacts have been previously scoped. The 3-D modeling is very helpful but not very specific. The building and site aesthetics need to meet or exceed what the Town would require of any private developer. Design review is imperative. Again, this is one of the jewel locations within the town limits of Mammoth. The lack of funding should not be an excuse to allow a substandard project. The design review process must have the upmost scrutiny. Because of the proximity to the residential areas, the lighting needs critical attention by designers. And the roof materials are of significant concern. The facility roof will be large. The solar impact and potential glare is significant. That needs to be mitigated. Which brings another issue…. Why isn’t this project considering the use of solar power/panels? Isn’t there grant money or subsidies or low interest loans for this type of solar installation? It would appear that once again the contrived urgency and lack of adequate funding has the Town on a hellbent path to ignore the obvious. The EIR needs to consider and evaluate the use of solar power derived onsite to power this facility. This is a serious environmental concern. The long-term savings to the Town could be significant. Look at the Mammoth Creek corridor. This is the closest intrusion to the sole tributary of Mammoth Creek by a commercial-type facility. The facility is proposed to use a variety of chemicals and potential toxic elements that may find their way into the creek. And they are likely be marginally managed and maintained. What detailed mitigations will be in place and who will monitor (short term low-wage Town Parks & Rec. employees?). While we are selling recreation in this community, maintaining the pristine beauty of the surrounding natural environment is even more important. Mammoth Creek is one of our top natural resources. More people likely visit the creek than will ever use this proposed facility. Parking lot runoff is a real concern in proximity to the creek. The new Canyon Blvd. storm drain system has the latest engineering but the storms of the past winter have proven they need regular human attention to prevent overflow and havoc. There are a multitude of downstream resources including prime fish habitat and a fish hatchery that need the upmost protection. The community simply doesn’t need Mammoth Creek to become a polluted mess. A polluted or compromised creek would be the ultimate black-eye. What mitigation measures will be in place to ensure excessive runoff or some other disaster is avoided? Again, where is the draft operational plan? This needs to be part of the EIR evaluations. This is profoundly significant. And again, the urgency and underfunded nature of the project makes this an especially disconcerting “trust” issue. The Town is confident that it can maintain this facility at this location in a safe and professional manner. But I question that. There is a substantial piece of art at the entry to MCPW that the Town has poorly managed and maintained over the past 20 years. This piece was originally designed, approved and implemented with beautiful stained glass panels inside the replica Devil’s Postpile pillars. It was envisioned as a showcase entry statement to the Park. It was approved by the Town. The Town has been a poor steward of this art piece. They have let it be vandalized and deteriorate. They have done nothing to preserve it in its original condition. It was designed to be a cultural draw to this location and set the tone for what the park stood for. I doubt if few people even realize it is there. If this is a precursor to how the Town will manage a larger facility, it is a frightening prospect. It makes me think the project should be bonded (like a private developer) so if the Town cannot maintain it there are the resources to restore MCPW to it’s present condition. In compliance with CEQA, there are numerous sites that need to assessed as alternate sites. Obviously the existing site of the ice rink adjacent to the library. The Community Center site on Forest Trail. The Bell Parcel. I’m sure there are others. Quite frankly, the best part of the MCPW is that the Town owns it and it has no debt on it. The site is not the best location for this project. The site is undersized for this large venue and ambitions of staff. And MCPW likely has higher and better uses. The existing ice rink site adjacent to the library is a good one because of the proximity to the schools. The MUF is really just an extension of the schools as it is proposed. Nobody seems to want to express that. The long term lease negotiation with the school district has been poorly executed. A professional mediator should have been (or should be) utilized to bring common sense to the transaction and get past the egos of the respective bodies. The Mammoth property owners are essentially paying for that otherwise vacant land though property tax bonds. Ironically (and sadly) the majority of Mammoth property owners will never utilize a day of the schools district’s resources but fund it substantially. It is time for the school district to “do the right thing” and be cooperative and find some mutually beneficial ground. The school board wants us to support their continued parcel tax in June. They lack public “trust” also. A professionally mediated negotiation should be mandatory under “Alternative Sites” component of the EIR. The old Community Center site on Forest Trail could be an optimal site to align this development into a public/private partnership. Ironically, this is very close to the proposed ice rink/events center in the 1993-94 North Village Specific Plan. And ironically too, the substructure of that facility was designed to be the primary public parking lot for the Village. The EIR needs to assess that since the Town is pursuing a public parking lot in the Village. It is not too late to make this happen. But the impatience of the crowd stands in the way. Ultimately, The Town needs to be held to the same development standards they have demanded of private developers in the past 25 years. That includes acceptable aesthetics, mitigations and operational plans. Anything else would be clear hypocrisy. And liability. 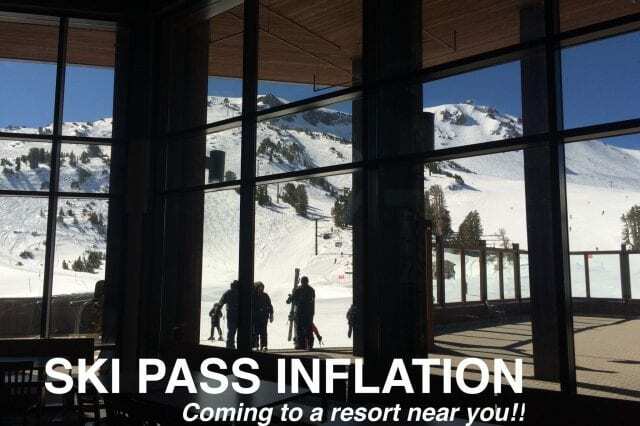 Broker’s Report, March 13, 2016 –– Maybe $1,000 ski passes are a good idea? Mammoth Real Estate Q&A Hard Questions, Questionable Answers? Broker’s Report–Hot Water, Everywhere. Look Out Mammoth.